The Venice Times: The exhibition "Art or Sound"
The first time in a long time Venetian palace became available again to the public. Now all the rooms of this historic building will be temporarily used the fairgrounds Ca' Corner Della Regina, to show you a unique exhibition of musical instruments. At this exhibition you will be able to trace the history of musical instruments in time, since the XVII century. This event will open the tools were made ​​of unusual and precious materials, among them will be a wonderful guitar wizard Michele Antonio Grandi. 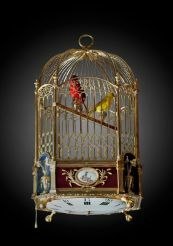 Exploring the rooms you can see the work of the Swiss watchmaker XVIII century Pierre Jaquet-Droz, whose products are also associated with the world of music. 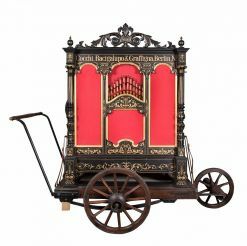 XIX century art presented in the form of automated musical instruments and mechanical devices which are able to visually express music through color and light. In addition, in collaboration with the Foundation for Prada, the exhibition will feature tools and works by American composers John Cage and Elvina Lucien, the artists of the 1960s - Robert Morris and Nam June Paik, and artistic heritage of the German and American artists Joseph Beuys and Richard Artshvagera. All these and many more amazing exhibits you can see by visiting Venice with its famous Grand Canal, along which are concentrated the most beautiful buildings in the city, including a Venetian palace, from June 7 to November 3, 2014. The territory of one of the most expensive and luxurious buildings, located on the shores of Lake Como - Villa d'Este, held annually famous exhibition of vintage cars. Say in his veins instead of blood Brescia flowing fuel and this is confirmed by the annual automobile race «Mille Miglia Storica», which translated means "A thousand miles".